MikroTik is a Latvian company founded in 1996, which specializes in the development and production of router solutions and wireless LAN devices for Internet service providers. Experience with industrial hardware and complete routing platforms has enabled MikroTik to launch RouterOS in 1997. 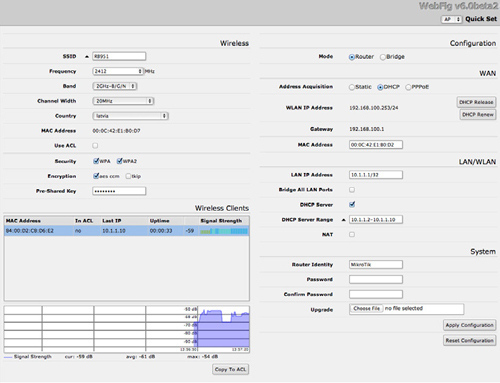 RouterOS is a MikroTik operating system that is extremely stable and offers infinite control and flexibility. In 2002, MikroTik also decided to develop its own hardware to create the RouterBOARD series. Today, MikroTik has about 200 employees, as well as dealers and customers in almost every country in the world. MikroTik provides routing, switching, and wireless devices for a wide range of businesses from enterprise to high-end data centers. Create wireless cross-sea connections, country-to-country Internet connections, or secure VPN connections between banks – MikroTik can do it. In addition, MikroTik has a wide network of training centers. MikroTik RouterOS is the MikroTik RouterBOARD hardware operating system. You can install it on a computer that converts to a router with all the necessary features – routing, firewall, bandwidth management, wireless access point, backhaul link, hotspot, VPN server, and much more. RouterOS is a standalone operating system based on Linux v2.6. MikroTik provides all these features with quick and easy installation and user-friendly interface.